She’s my role model for a long life. Her brain stayed sharp, she could fly through a cryptic crossword in her 90’s like a genius. If she had the tools we have these days to learn a second language, she could have been even sharper. Learning a new language has proven to build mental muscles. I recently read an article by Lucy Kinder in the Telegraph. The article reported research from the University of Edinburgh. It said learning a language in adulthood improves cognitive function. Better yet, it slows brain aging. 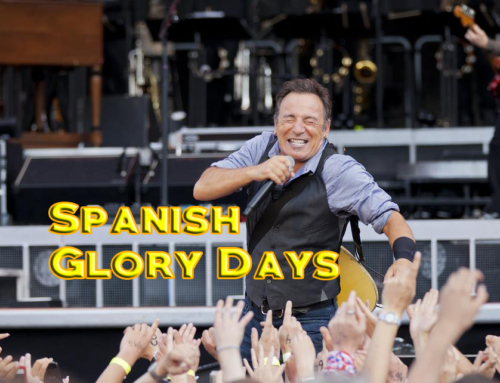 Yet another great reason to learn Spanish. You also sharpen your mental muscles for thriving longevity. Here’s to your young, fit, and sharp mind. This free Spanish series is great mental workout. Plus, it’s fun way to start talking with your amigos about grandparents and grandchildren. Here is the third and final lesson in the series. +That was a great teaching program. I could understand everything spoken at the end of all three parts. I try again in english. Seems my posts in spanish has not been posting. First I like to say I really enjoy these courses and I listen to them on a daily basis and it has really made my spanish a lot better. Now I can understand and make me understandable in spanish and I have got some friends, which were a lot more difficult before. I live in a spanish speaking country. At first I just followed these free lessons, and when I started to use them I did understand that this was the way for me to learn, so I started to buy your courses, one by one. Still have some left. I also wish I could download these free samples, which seems imposible at the moment. Before I buy the new courses Fearless fluency and the other I read should come in october, I wondered if it was posible to have some information about the level of these courses. Before or after 8x? Fearless Fluency is a stand a lone course but it is a perfect way to build on both Synergy Spanish and Synergy Spanish 8x. Likewise with the new program I am working on. Sorry, these lessons are in the streaming only. Thanks for the answer. Then I am going to buy them also. Hopefully you might do some more advanced also. I can only hope I am very happy to have found your way of learning. Suits me perfect. You are an excellent instructor! Thank you very much! Hola Marcus! Este es un interés lección porque mi mamá nombró me después mi abuelo. Soy abuela de ocho nietos. Cuatro de mis nietos son colombianos y ingleses porque la esposa de mi hijo es colombiana. Por eso mis nietos hablan español y ingles fácilmente. Lo bueno es que no vivo lejos de ellos y puedo practicar hablando con la familia. Gracias por todo Marcus! I love it! It always lights me up when I hear about my students using their Spanish in real life. ¡Felicidades! You make learning Spanish so much simpler and easier than the courses I have tried before. I love it thank you so much. Eres una súper estrella gracias. gracias. Muy interesante! I have no Spanish speaking grandchildren, but my friend does, so I have forwarded it to her. Hopefully she will sign up for some lessons! Marcus, these videos were great. Thank you! Thanks Marcus for keeping it relevant. A different online course I did for 2 years before discovering yours wouldn’t let me pass to the next levels until I had mastered such expressions as applying make-up, having new boyfriends / girlfriends / celebrity gossip etc etc. As an abuelo & OAP myself, it was definitely pitched at a different lifestyle than mine. I now live in mainland Spain so I am glad that you keep in touch with me – with fresh course content. I recommend your course to all my Brit friends here, (& Scandinavian friends too) whenever they are struggling with the lingo. Great to here the material was relevant for you and thanks for recommending me to your friends. felicidades! I am honoured to have helped you be able to put Spanish together. 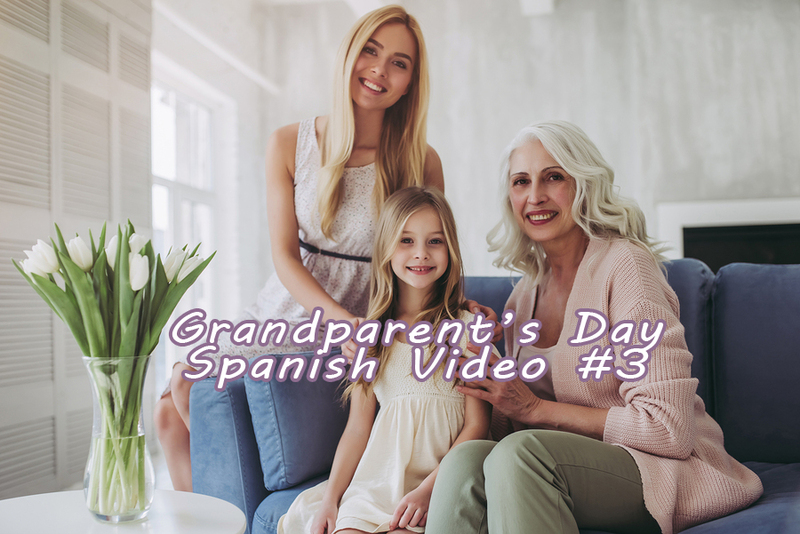 I loved these 3 series of Grandparents video lesson. Thank you Marcus. your videos re Grandparents Day, extremely good indeed, always look forward to receiving videos from you. once again, thank you very much indeed.